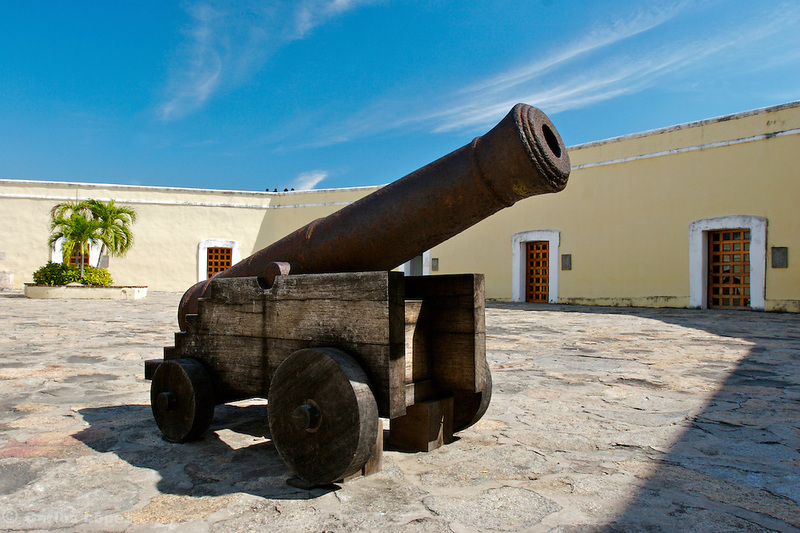 A CANNON IN THE FORT OF SAN DIEGO IN THE CITY OF ACAPULCO IN MEXICO, THE FORT WAS BUILT BETWEN 1614 AND 1616 TO PROTECT THE CITY AGAINST THE ATACKS OF PIRATES. IT WAS THE BIGGEST FORT IN THE PACIFIC COAST. NOW IS A LOCAL MUSEUM ABOUT THE HISTORY OF ACAPULCO.